At Palm Beach Oriental Rug Cleaning Pros, we understand that your delicate fabrics are an expensive investment that, unlike regular carpets and upholstery, can last up to 150 years or more with proper care and attention That's why we ensure that your area and Oriental rugs are carefully treated only by our certified, trained area rug specialists using a process combining Old World craftsmanship, new technology, and powerful yet gentle cleaning solutions. It's powerfully soft on your investment textiles. 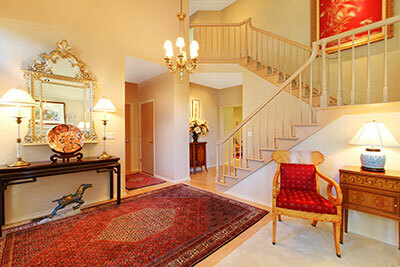 We clean rugs of all types and conditions. We see various dyes and fibers (natural & synthetic), machine made and hand made rugs from regions throughout the world. Morocco, Pakistan, Romania, Turkey, Iran, India, France, Tibet and China all produce beautiful textile rugs. We can also handle any specialty made rugs such as Axminister, Karastan, Wilton and Navajo. We can even do plant based fiber rugs like Sisal, Coir and Sea Grass. 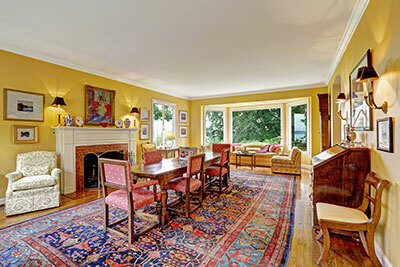 Your oriental and area rugs are not just art treasures. They are also very valuable investments. That's why we clean them with so much care and attention to detail. Utilizing the basic elements of air and water, we customize the cleaning process for the needs of each individual rug. With specialized tools and equipment designed specifically for the cleaning of area rugs, we provide a thorough and effective, yet gentle, cleaning process that is powerfully soft. 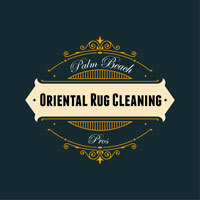 At Palm Beach Oriental Rug Cleaning Pros, we understand that depending on the particular fibers, dyes, soils, and construction of the rug, we'll draw from the cleaning techniques, such as dusting, washing, rinsing, and drying and detailing. Dry particulate soil evacuation is performed using the power of compressed air. This "air washing" process completely removes this soil as no other process can. Your delicate textiles are immersed in a simulated river of soft water and washed deeply with a massage of powerful yet safe cleaning solutions. This ensures the continuous purging and flushing of soils and other contaminants. Your rugs are then completely rinsed with our industrial area rug wringer. Giant rollers powered by compressed air gently push all water out of your rugs. The drying process then begins. Our controlled drying environment allows for speed and efficiency to protect the rugs in process. Fringes are then detailed and specialty spot and stain removal is performed after our initial inspection. All rugs must pass a stringent final inspection before they can be returned to you. Area rugs are a beautiful addition to any home, however, just like conventional carpet, it should be properly cleaned in order to look its best. Your handmade or machine-made area rug likely suffers from serious wear and tear caused by foot traffic, spills, dirt, sand, and/or pet stains. While wall-to-wall carpet can often be steam cleaned “on-site,” area rugs require a much different, and more delicate method. In fact, if not professionally, and properly cleaned, a rug can be damaged during the washing process.